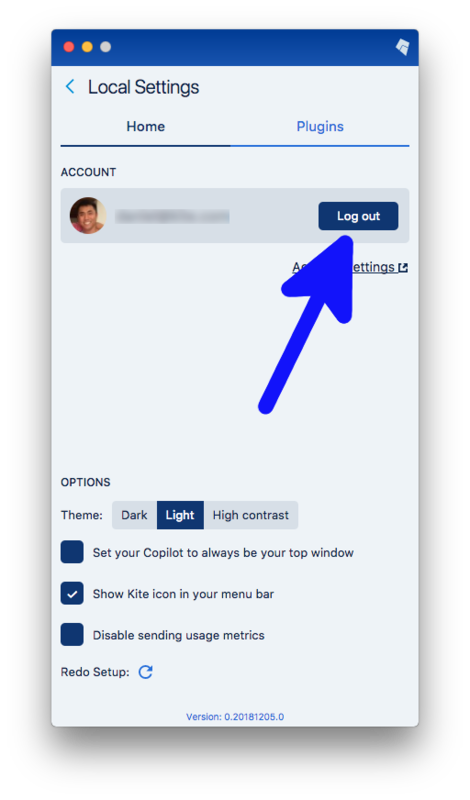 If you are not logged into your account, the Copilot will ask you to log in when you first start Kite. If the Copilot is open, click on the gear icon on the bottom right corner. 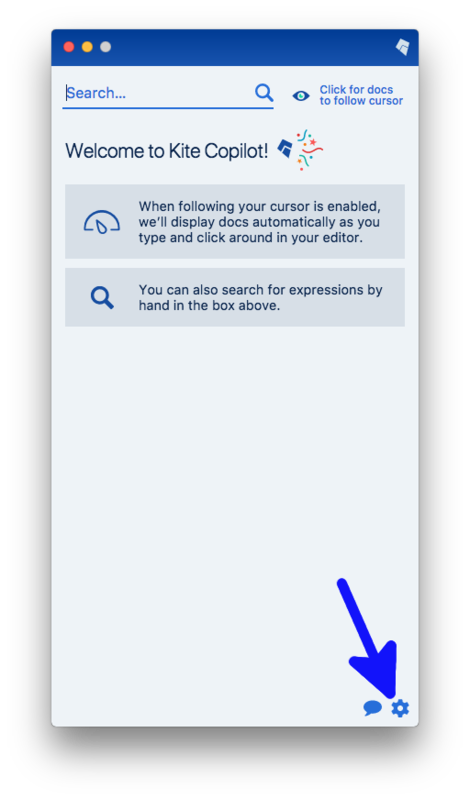 Next, click on the “Log out” button. 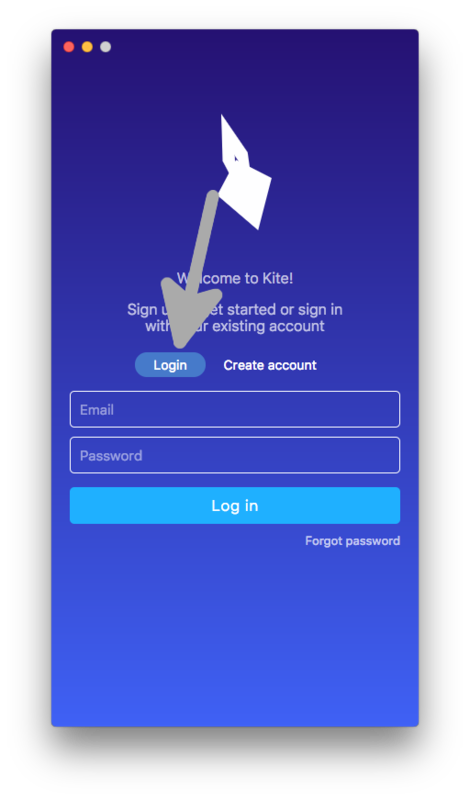 If you forgot your password or need to set a new one, visit https://kite.com/reset-password and enter your email address. We'll send you an email with instructions on how to reset your password.